Indians were granted the highest number of visitor visas during the year ending September 2018: up 41,224 (or 10%) to 4,68,923; Chinese and Indian nationals alone accounted for just under half (47%) of all visit visas granted. New figures released on Thursday show a rise in the number of visas granted to Indian professionals, visitors, students and family members, but also reflect the Brexit reality of more EU citizens leaving the United Kingdom. The demand for Indian professionals continued during the year, with 55 per cent of all Tier 2 (skilled) visas granted to them, the figures released by the Office for National Statistics show. The number of Indian students coming to study at UK universities also showed a 33 per cent rise, to 18,735. Chinese and Indian students accounted for almost half of all students visas granted during the year. There was also an increase in the family-related visas for Indians (up 881 to 3,574). The number of EEA family permits given to Indians (members of families of EU citizens) was also up 4,245 to 8,360, official sources said. Figures showing more EU citizens leaving than arriving in the UK prompted renewed concern over the impact of Brexit. The net migration from the EU to the UK slumped to a six-year low, while non-EU migration is the highest in more than a decade. Madeleine Sumption, director of the Migration Observatory at the University of Oxford said: “EU migrants have been leaving in larger numbers since the referendum, and net inflows have greatly decreased”. “The lower value of the pound is likely to have made the UK a less attractive place to live and work and economic conditions in several of the top countries of origin for EU migrants have improved”. The EU (Withdrawal) Bill repeals the 1972 European Communities Act through which Britain became a member, and transfers decades of European law onto British statute books in a bid to avoid any legal disruption. Britain’s Queen Elizabeth granted royal assent to Prime Minister Theresa May’s flagship Brexit legislation on Tuesday, ending months of debate over the legislation that will formally end the country’s European Union membership. The House of Commons speaker John Bercow said the EU withdrawal bill, passed by both houses of parliament last week, had been signed into law by the monarch, to cheers from Conservative lawmakers. “I have to notify the House in accordance with the Royal Assent Act 1967 that her Majesty has signified her royal assent to the following acts … European Union Withdrawal Act 2018,” Commons Speaker John Bercow told lawmakers during a session of the house. 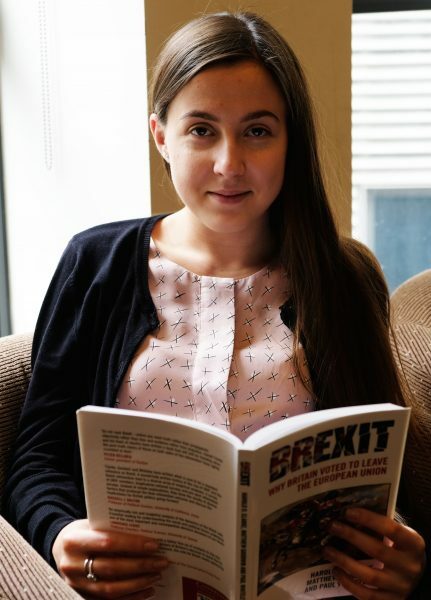 Alexandra Bulat, photo from her official page at UCL, used with her permission. What is the human side of the Brexit, the UK ‘divorce’ from the EU? Numerous controversies remain, as well as the need to fix the system in order to avoid further suffering for millions of people caught in a bureaucratic uncertainty or facing arbitrary and unjust rules and regulations. 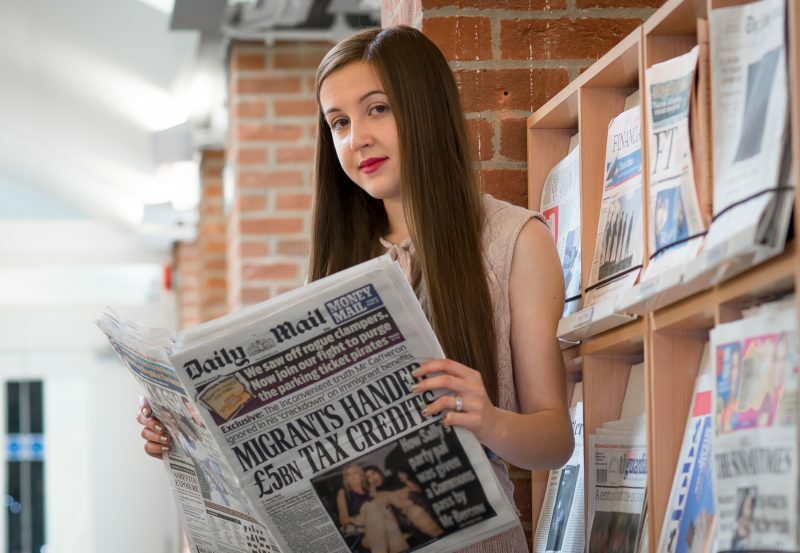 According to the newspaper The Sun, around 3.6 million EU nationals currently live in the UK, including nearly 600,000 children. Among them, eastern Europeans have been specially branded by Leavers (those who support UK’s separation from Europe) as “unwanted” immigrants. They often are tagged as “benefit scroungers, here to steal jobs”. This sentiment is not new, as they already felt like second-class citizens because of working restrictions initially put on migrants from central and eastern Europe when they joined the EU. Arguably, UK’s decision to open its labor market to these countries is what led the voters to become so opposed to migration from the EU. Photographer Deividas Buivydas shared some captivating images from Boston, Lincolnshire, where tension against eastern Europeans is evident and post-Brexit anxiety is bubbling. This town registered the highest Leave vote in Britain, at 75.6 per cent and was dubbed “the capital of Brexit”. It also is home of the largest proportion of Eastern Europeans in the country. Ms. Bulat shared her story in a series of much-retweeted tweets which are summarized bellow. My first experience in the UK was in 1997. My father got a temporary #NHS[National Health Service] contract as there was a skill shortage. I attended the hospital’s nursery for 7 months but my family chose to return to Romania. My mum was unemployed and my father had limited rights to work. I read my MPhil handbook saying we should not do any paid work. I did paid work throughout my MPhil and finished with 72% overall. Meanwhile mum got a job and things got back to normal around graduation time, after a year of familiarizing myself with Sainsbury’s Basic [a supermarket chain offering low cost produce]. Alexandra Bulat. Courtesy photo used with her permission. My mum’s job was again subject to restructuring in 2017. After a few months of job searching she decided to leave to Germany. She also was concerned about #CitizensRights after Brexit. They are not guaranteed yet. She is working in Germany now, the UK lost a skilled professional. In the mind of many people rudely commenting on #CitizensRights posts such as the stories shared in @cliodiaspora‘s articles, we should be sent back home unless we are a constantly producing tax payment machine. It is important to realize the complexity of migrant stories. According to these people’s logic, my mum should have been deported every time she lost her job and I should not have been allowed in with little English or “insufficient resources”. We have not claimed a single benefit all these years, not even job-seeker’s allowance. A recent protest by the group Highly Skilled Migrants, which says it represents over 600 doctors, engineers, IT professionals, teachers and their families in Britain attempted to raise profile of ‘discriminatory’ Home Office rules. The ‘harsh migration policy’ affects both immigrants from ‘overseas’, and those coming from the EU member countries. Latest data indicates large drop in the number of EU nationals seeking jobs in the UK due to Brexit uncertainty. President Donald Trump flew back to the United States on Saturday without a much-awaited commitment to fighting climate change, at odds with many of his allies on big policy issues and to a brewing crisis in the White House. Now back home, Trump is unlikely to get much rest after his gruelling nine-day diplomatic marathon, with Russian controversies and claims that his son-in-law Jared Kushner wanted to set up secret communications with Moscow swirling overhead. Trump’s first trip abroad as president took him to Saudi Arabia and Israel, the Vatican, and Belgium and Italy. He met with heads of state, the pope and attended gatherings of NATO leaders and members of the G-7 industrialised nations. Trump is not a conventional president and neither was his first foray into international politics. From the start, he set a new direction. In many ways, the first leg of his journey in the Middle-east was the easiest for the US leader who made ‘America First’ a cornerstone of his presidency and is still learning the ropes on international diplomacy. Instead of following presidential tradition by heading to a neighbouring democracy like Canada or Mexico, Trump kicked off his maiden voyage in Saudi Arabia, the repressive desert kingdom, where he sought to win Arab states’ support for fighting extremism. He was given the royal treatment, and looked delighted as he took part in traditional dances and enjoyed lavish meals. Raising the human rights record of his host, one of the world’s most oppressive governments, was not on his agenda. “We are not here to lecture — we are not here to tell other people how to live, what to do, who to be, or how to worship,” Trump said. Instead, the US closed a $110 billion arms sale to show its renewed commitment to the security of the Persian Gulf region and unveiled numerous business agreements, but without going into details. Trump then travelled to Israel and the West Bank to more rapturous welcome. He looked solemn as he lay a wreath at a holocaust memorial and as he prayed at the sacred western wall in Jerusalem. But while he called for peace in the region he was vague as to what form it should take. Trump stayed clear of calling for ‘a two-state solution’, an option backed by his predecessor Barack Obama. Things started to heat up when Trump left the warm climes of the Middle East for Europe, for the NATO summit in Brussels and the most confrontational part of his trip. On his way, Trump made a short stop in Rome for an audience with Pope Francis. The two men have in the past clashed on issues such as migration, climate change and the Mexico-US wall. After the meeting, the Vatican said, laconically, that there had been an “exchange of views” on international issues. Trump was more enthusiastic: “Honor of a lifetime to meet His Holiness Pope Francis. I leave the Vatican more determined than ever to pursue PEACE in our world,” he tweeted on May 24th after meeting the pontiff. Honor of a lifetime to meet His Holiness Pope Francis. I leave the Vatican more determined than ever to pursue PEACE in our world. The NATO summit in Belgium the next day pitted Trump against the 27 other members of the military alliance. The US president unnerved them by not affirming his commitment to the alliance’s key Article 5 on mutual defense — which states the principle that an attack on any one member is an attack on all. A US administration spokesperson downplayed their fears however and saying the US would adhere to it. Trump chastised the members for not spending enough on defence and repeated the charge that some members owed “massive amounts of money” from past years, even though allied contributions are voluntary. Trump’s appearance in Brussels was particularly frustrating for Germany. In a meeting with senior European Union officials, he said the country was “very bad on trade” despite months of painstaking relationship building between Germany and the US in the run up to the summit. It is little surprise European officials described the summit as a “disaster”. Side meetings with other leaders in the Belgium capital provided with some light relief however. A series of “manly” and prolonged handshakes with French President Emmanuel Macron, followed by an apparent snub by Macron in favour of European Union leaders, delighted the twittersphere. À Bruxelles, unis avec nos alliés de @NATO. Leaving the EU headquarters and his crestfallen NATO allies behind, Trump ended his diplomatic tour in Italy for the G7 summit with the leaders of the world’s wealthiest industrial nations. This stop was set to be just as acrimonious: four preparatory meetings had failed to clear up differences with the Trump administration on trade, how to deal with Russia and climate change. So there was perhaps little surprise, but some disappointment, when after three days of contentious private debate and intense lobbying by other leaders, Trump refused to commit to the hard-fought Paris Agreement on Climate Change. The six other G7 nations reaffirmed their commitment to it in a joint statement issued Saturday. Trump promised to make a decision in the week ahead on whether the United States will be the first of 195 signatories to pull out. The leaders reached agreement on some issues however. On trade, Trump bowed to pressure from allies to retain a pledge to fight protectionism. And on Russia, Trump did not insist on removing the threat of additional sanctions for Moscow’s intervention in Ukraine, as the allies had feared. But despite disagreements over many policy issues, leaders also warmed to the US president. The Italian Prime Minister Paolo Gentiloni, the G7 summit’s host agreed. “I found him very willing to engage, very curious, with an ability and desire to ask questions and to learn from all his partners,” he said. At the summit’s close on Saturday, Trump appeared to rate his trip as a success. “I think we hit a home run no matter where we are,” he said. Home, where a whole new set of challenges begin. Europe can no longer “completely depend” on the US and UK following the election of President Trump and Brexit, German Chancellor Angela Merkel says. Mrs Merkel said she wanted friendly relations with both countries as well as Russia but Europe now had to “fight for its own destiny”. It follows the G7’s failure to commit to the 2015 Paris climate deal, talks Mrs Merkel said were “very difficult”. President Trump has said he will make a decision in the coming week. “The times in which we could completely depend on others are on the way out. I’ve experienced that in the last few days,” Mrs Merkel told a crowd at an election rally in Munich, southern Germany. The BBC’s Damien McGuinness, in Berlin, says the comments are a sign of growing assertiveness within the EU. The relationship between Berlin and new French President Emmanuel Macron had to be a priority, Mrs Merkel said. Can ‘first daughter’ save climate accord? 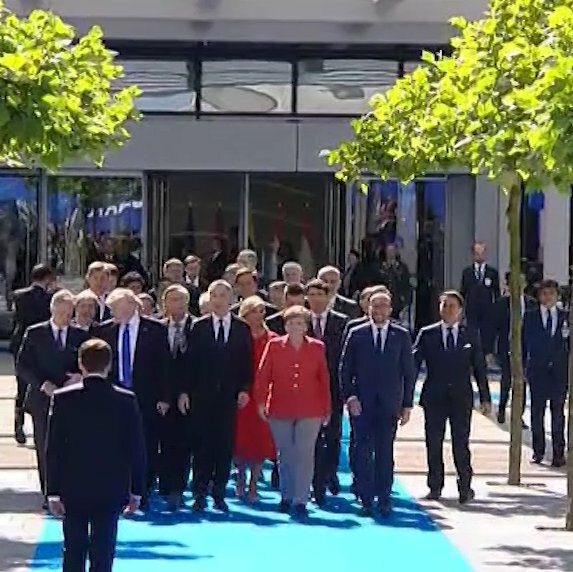 Earlier the German leader had described the “six against one” discussion about the Paris Accord during the G7 summit in Sicily as “very difficult, not to say very unsatisfactory”. Mr Trump said he would abandon the Paris deal – the world’s first comprehensive climate agreement requiring countries to cut carbon emission – during his election campaign and has also expressed doubts about climate change. Speaking in Brussels last week, Mr Trump also told Nato members to spend more money on defence and did not re-state his administration’s commitment to Nato’s mutual security guarantees. BBC Defence and Diplomatic Correspondent Jonathan Marcus says the mere fact that this is even in question shows just how uneasy the relationship is between Mr Trump and the organisation of which his country is the leading member. What future for the Atlantic alliance? While in Belgium Mr Trump also reportedly described German trade practices as “bad, very bad”, complaining that Europe’s largest economy sells too many cars to the US. The US president has described his visit to Europe as a “great success for America” with “big results”. Melania in black at the Vatican. Why? It might have been thanks to the beer, pretzels and Bavarian brass-band enlivening the crowd. But Mrs Merkel’s words were uncharacteristically passionate and unusually forthright. By all means keep friendly relations with Trump’s America and Brexit Britain, was the message – but we can’t rely on them. Rapturous applause greeted her fiery calls for Europeans to fight for their own destiny. No wonder she’s sounding confident. France has a new president who shares her pro free-trade, Europhile values, so there is a positive feeling in Europe that the EU’s Franco-German motor is back in business. With four months to go before elections, Angela Merkel’s position also looks stronger than ever domestically. Initial enthusiasm for her center-left rival Martin Schulz has fizzled out. 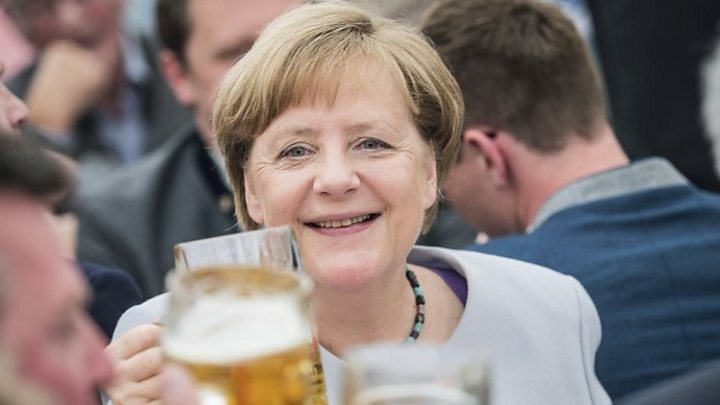 And Sunday’s beer-tent event underscored her strength by marking an end to a potential split with her Bavarian sister conservative party. She might not have welcomed Brexit or Trump. But it seems that Mrs Merkel has decided that standing up for the EU will only strengthen her chances of winning another term in September. Polls in Germany say Mrs Merkel is on course to be re-elected for a fourth term as German chancellor at elections in September. British Prime Minister Theresa May’s lead over the opposition Labour Party has narrowed sharply, according to five opinion polls published since the Manchester attack, suggesting she might not win the landslide predicted just a month ago. Four opinion polls published on Saturday showed that May’s lead had contracted by a range of 2 to 6 percentage points, indicating the June 8 election could be much tighter than initially thought when she called the snap vote. “Theresa May is certainly the overwhelming favorite to win but crucially we are in the territory now where how well she is going to win is uncertain,” John Curtice, professor of politics at the University of Strathclyde, told Reuters. “She is no longer guaranteed to get the landslide majority that she was originally setting out to get,” said Curtice, a leading psephologist who is president of the British Polling Council. May called the snap election in a bid to strengthen her hand in negotiations on Britain’s exit from the European Union, to win more time to deal with the impact of the divorce and to strengthen her grip on the Conservative Party. Sterling on Friday suffered its steepest fall since January after a YouGov opinion poll showed the lead of May’s Conservatives over Labour was down to 5 percentage points. When May stunned politicians and financial markets on April 18 with her call for a snap election, opinion polls suggested she could emulate Margaret Thatcher’s 1983 majority of 144 seats or even threaten Tony Blair’s 1997 Labour majority of 179 seats. But polls had shown May’s rating slipping over the past month and they fell sharply after she set out plans on May 18 to make some elderly people pay a greater share of their care costs, a proposal dubbed the ‘dementia tax’ by opponents. Polls since the attack showed little evidence that May – who as a former interior minister oversaw the police and domestic intelligence agency – had gained support. Opinium said May’s lead had slipped to 10 percentage points, down from 13 points the week before and from 19 percentage points on April 19. Its online survey of 2,002 people was carried out between May 23 and 24. ComRes said the lead of May’s Conservatives had fallen to 12 percentage points in an online poll of 2,024 carried out May 24-26, from 18 percentage points in a comparable poll on May 13. ORB said May’s lead had halved to 6 percentage points, according to an online poll carried out May 24-25. A YouGov survey of 2,003 people between May 25-26 showed May’s lead had narrowed 7 percentage points from nine a week ago. The polls painted a complicated picture of public opinion, with Britons’ current voting intentions being influenced by both the deadly Manchester attack and May’s unpopular social care proposals. Conservative election strategist, Lynton Crosby, has ordered a return to May’s main message: that only Theresa May can be trusted to negotiate Brexit, The Sunday Times reported. In an era of profound cultural transformation, elections and referendums have very real consequences ― such as the repeal of environmental regulations or crackdowns on press freedom. But as much as they reveal how markedly divided societies are at this historical moment, they settle little. For those who are nostalgic for an ideal past, the challenges of a complex future wrought by globalization, digital disruption and increasing cultural diversity remain unresolved. For those looking ahead, there is no going back. The present political reaction is only the first act, not the last. It is the beginning, not the end, of the story of societies in fluid transition. The recent Turkish referendum, like Brexit and U.S. President Donald Trump’s election, fits a pattern of a territorial divide. Residents in large cities and coastal zones linked to global integration and cosmopolitan culture represented just under half of the vote; rural, small-town and Rust Belt regions linked more to the traditions and economic structures of the past were just over half. But there is also a major difference. The populist, nationalist narrative that won the day in Great Britain and the United States championed the “left behind” and splintered the unresponsive mainstream political parties. In Turkey, the day was won by a conservative, pious and upwardly mobile constituency already empowered by some 15 years of rule by President Recep Tayyip Erdoğan’s Justice and Development Party. The cultural duel there, backed up by neo-Islamist and nationalist statism, will thus be more intense than elsewhere. 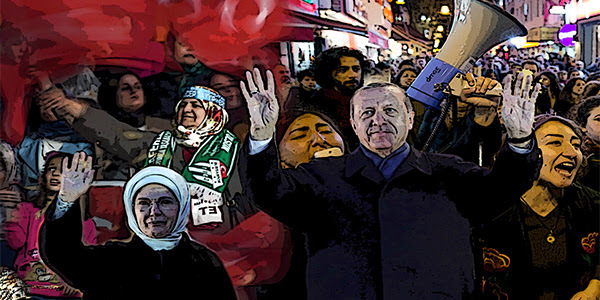 Writing from Istanbul, Behlül Özkan explains the details of the constitutional referendum, how the playing field was tilted in Erdoğan’s favor and how it will have massive implications for Turkey’s future. He also emphasizes the historic importance of Turkey’s reverse. 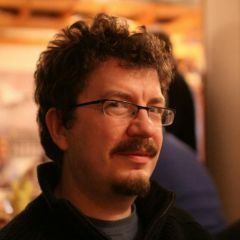 Özkan cites the political theorist Samuel Huntington who, in an essay decades ago on transitions from authoritarian rule, once defined Turkey as a clear example of a one-party system becoming more open and competitive under the constitution put in place by Mustafa Kemal Atatürk. It is rare in history to move in the other direction, as Erdoğan has now accomplished. Even as critics within Turkey and others abroad expressed concern over the extinguishing of democracy, Trump again showed his affinity for strongman politics by calling to congratulate Erdoğan on his victory. Yet, as with other countries from India to Argentina, there is likely another element as well to this potentially budding bromance. Sam Stein and Igor Bobic report on ethical issues raised by Trump’s business ties with Turkey. In 2012, Erdoğan joined Trump and his family to mark the opening of Trump Towers Istanbul. The British territory of Gibraltar lies on the tip of the Iberian peninsula. (CNN) Spain’s foreign minister has called on British politicians not to lose their temper after a Brexit-fueled dispute over a tiny outcrop of land escalated into talk of war. Less than a week after Britain triggered the formal process of leaving the European Union, London and Madrid were at loggerheads over Gibraltar, a British-controlled rocky headland on the southern tip of Spain. The EU’s draft negotiating document on Brexit, published on Friday, suggested that Gibraltar could only be part of any future trade deal if Spain gave its approval. That prompted fury in Britain: On Sunday, Lord Michael Howard, a former leader of the governing Conservative Party, even suggested that the UK might go to war over the dispute. Gibraltar — a three-mile long headland with a population of 32,000 people — is a British Overseas Territory whose residents remain fiercely loyal to Britain but whose sovereignty is claimed by Spain. To the surprise of Downing Street, the territorial tangle made its way into the draft Brexit negotiating position published by European Council President Donald Tusk on Friday. “After the United Kingdom leaves the Union, no agreement between the EU and the United Kingdom may apply to the territory of Gibraltar without the agreement between the Kingdom of Spain and the United Kingdom,” the guidelines said. In an interview on Sunday, Howard to urged a strong response, drawing a parallel with the Falkland Islands in the southern Atlantic, over which Britain and Argentina went to war for 10 weeks in 1982 under the government of Margaret Thatcher. “I do think it is a remarkable coincidence that 35 years ago this week, that another woman Prime Minister sent a taskforce half way across the world to protect another small group of British people against another Spanish speaking country,” Howard told Sky News. Spain called for cool heads on Monday. Speaking in Madrid, the Foreign Minister, Alfonso Dastis, said the Spanish government was “surprised” by the tone of the comments. “Frankly, it seems to me that someone in the United Kingdom is losing their temper,” he said. May called called Fabian Picardo, the chief minister of Gibraltar, on Sunday morning, Downing Street said, and told him that the UK was “steadfastly committed” to the territory. British Foreign Secretary Boris Johnson said Brexit would bring no changes to the status of Gibraltar. “I think the position of the government is very, very clear, which is that the sovereignty of Gibraltar is unchanged, and it’s not going to change and cannot conceivably change without the express support and consent of the people of Gibraltar and the United Kingdom, and that is not going to change,” he said. Gibraltar, dominated by the 426-meter-high Rock of Gibraltar, is classified as a British Overseas Territory but it is mostly self-governing with a chief minister as its head. Britain provides some services, such as security, to the territory. The UK has held sovereignty over Gibraltar for more than 300 years after it was captured from Spain in the Spanish War of Succession in 1704. Spain has recognized British rule under international law and in several treaties. Successive Spanish governments have raised talk of reunification since the 1960s, but in 2002, residents of Gibraltar rejected a proposal to share the territory between the UK and Spain in a referendum. But residents also voted overwhelmingly to stay in the European Union in last year’s Brexit vote, with 96% voting to remain in the union. CNN’s Milena Veselinovic and Jamie Gray contributed to this report.